In September of 1857, James Russell Lowell, then editor of the newly-launched Atlantic Monthly, approached Henry David Thoreau and asked him to write for the publication. Although reluctant at first, some months later Thoreau submitted Chesuncook, a written account of his 1853 trip to Maine that was to be published in the magazine in three parts. It was in the second of those installments that Thoreau noticed the absence of a sentence deemed problematic by the editor. Livid, he quickly sent this letter. No record exists of an apology, or indeed a reply of any sort, from Lowell, and a correction was never printed. 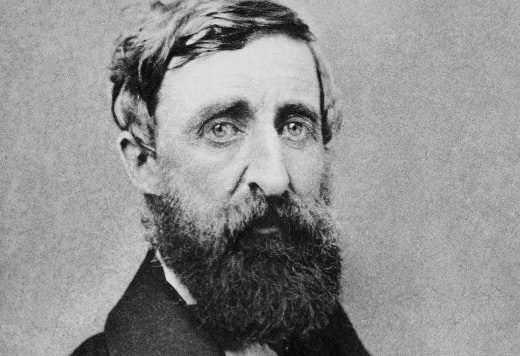 Thoreau wrote two more letters to Lowell, the last in October of that year; in both he demanded overdue payment of $198 from Atlantic Monthly. Thoreau subsequently refused to work with the magazine with Lowell at the helm. When I received the proof of that portion of my story printed in the July number of your magazine, I was surprised to find that the sentence—"It is as immortal as I am, and perchance will go to as high a heaven, there to tower above me still. "—(which comes directly after the words "heals my cuts," page 230, tenth line from the top,) have been crossed out, and it occurred to me that, after all, it was of some consequence that I should see the proofs; supposing, of course, that my "Stet" &c in the margin would be respected, as I perceive that it was in other cases of comparatively little importance to me. However, I have just noticed that that sentence was, in a very mean and cowardly manner, omitted. I hardly need to say that this is a liberty which I will not permit to be taken with my MS. The editor has, in this case, no more right to omit a sentiment than to insert one, or put words into my mouth. I do not ask anybody to adopt my opinions, but I do expect that when they ask for them to print, they will print them, or obtain my consent to their alteration or omission. I should not read many books if I thought that they had been thus expurgated. I feel this treatment to be an insult, though not intended as such, for it is to presume that I can be hired to suppress my opinions. I do not mean to charge you with this omission, for I cannot believe that you knew anything about it, but there must be a responsible editor somewhere, and you, to whom I entrusted my MS. are the only party that I know in this matter. I therefore write to ask if you sanction this omission, and if there are any other sentiments to be omitted in the remainder of my article. If you do not sanction it—or whether you do or not—will you do me the justice to print that sentence, as an omitted one, indicating its place, in the August number? I am not willing to be associated in any way, unnecessarily, with parties who will confess themselves so bigoted & timid as this implies. I could excuse a man who was afraid of an uplifted fist, but if one habitually manifests fear at the utterance of a sincere thought, I must think that his life is a kind of nightmare continued into broad daylight. It is hard to conceive of one so completely derivative. Is this the avowed character of the Atlantic Monthly? I should like an early reply.